Adrian Dorst is a true renaissance man! He’s not only fantastic natural photographer but also a excellent wood carver.He works for months on his carvings & sells them locally. The passion he is best known for is his love of birds! 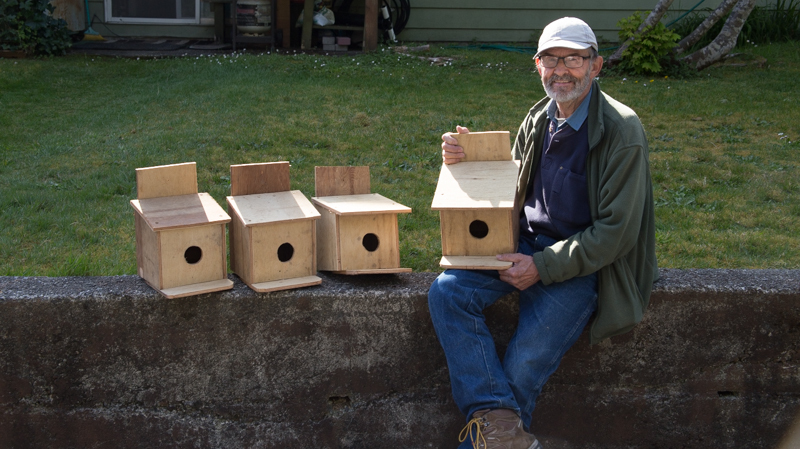 Adrain Dorst is recognized as one of the foremost leading experts on birds on the west coast.If it flies,he knows! For several years now he has been putting together a book of the birds on Vancouver island.It just came out.If you love birds,you’ll love this book & If your coming out to the island………it’s a must have! Purple Martins are the largest of the Swallow family. He & I are going to put them on a bridge out at Kennedy lake. The wind was up even more so today than yesterday! So I decided to stay in. A good friend of mine showed me his newest creation. 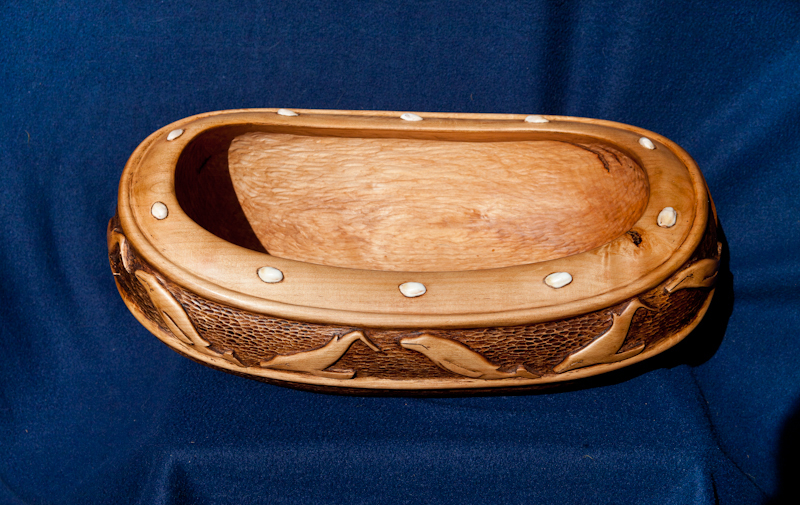 Adrian Dorst is a master carver & had just completed another feast bowl! 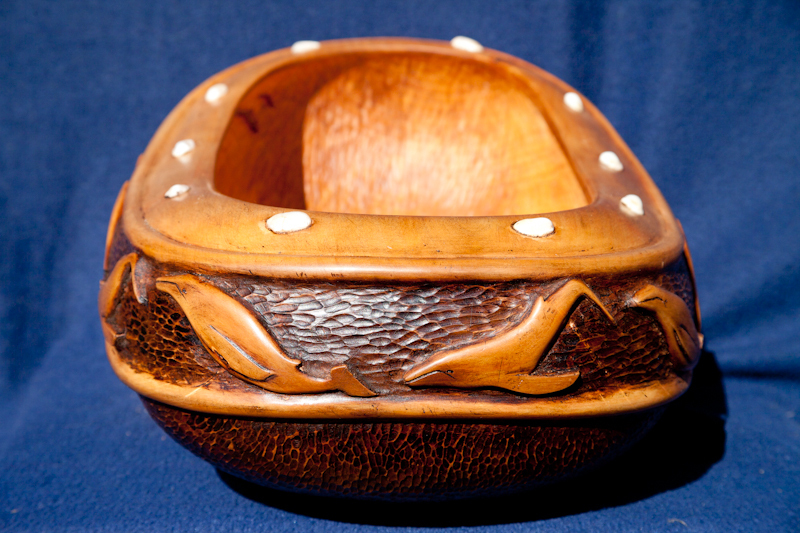 This one has whales around the upper edge & shell inlays around the top edge! Beautiful work to say the least! He does everything by hand! Adrian Dorst phoned me this afternoon and told me that he had just finished his latest Feast Bowl! (he’s done two others before this one) I was honoured to be the first to see it and naturally I took a few shots to share with you all! For those of you who do not know Adrian Dorst,he is the quintessential artist! He not only carves wood ,but also sculpts stone as well! He also is a world recognized photographer who has been a major influence on me for years! He’s calling this his “Piper Bowl”. Thats the kind of bird he has carved around the outside edge. There are 12 inlays of mother of pearl and 12 Sand Pipers. Adrian produces some of the finest works of art I have ever seen personally! He constantly surprises me. It’s a beautiful piece of artwork !